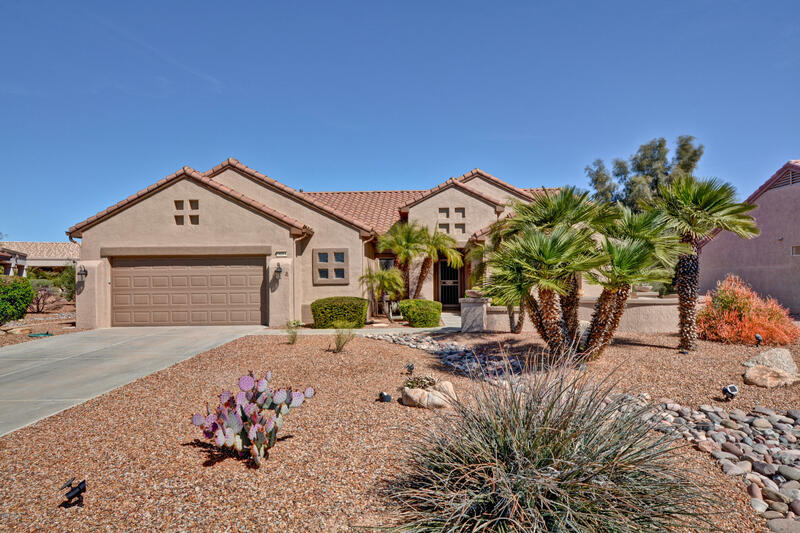 All Sun City Grand Mountain V homes currently listed for sale in Surprise as of 04/23/2019 are shown below. You can change the search criteria at any time by pressing the 'Change Search' button below. "Looking for 3 BEDROOMS + DEN? Unique STONECREST with 3 BR's (Master is split apart for privacy), plus an enclosed Office/Den with desk + futon could be the 4th BR. Gorgeous Mexican fan palms in yard. Front courtyard patio. Interior of home is light and bright. Exterior was painted Mar 2019, Interior painted 2010. Home has been well maintained and only used seasonally. Family Room has media wall w/47 inch Samsung TV and sound bar. New higher toilets in master bath. Interior laundry has front"